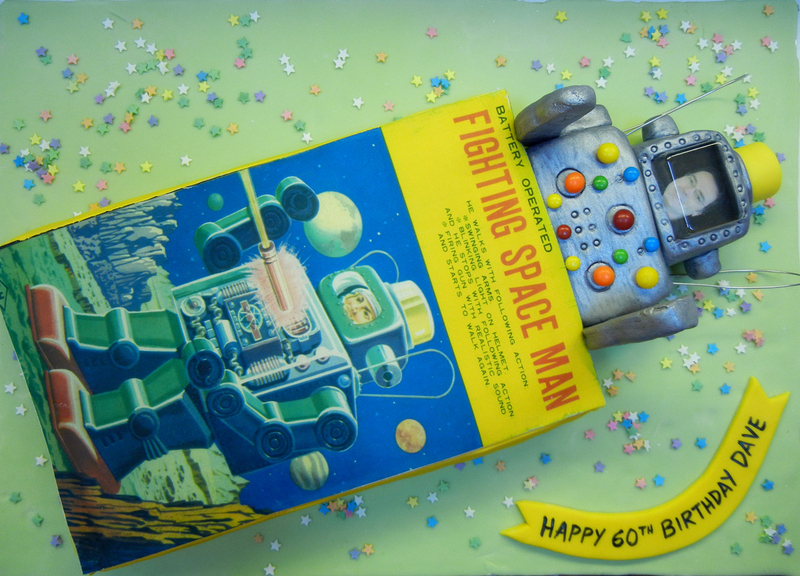 For my friend Dave’s 60th birthday, his wife requested a robot cake. You see, Dave collects vintage robot toys. I remember him telling me about his best ever yard sale find. He came across a vintage spaceman toy still in its original box, got if for peanuts, and when he brought it home, he turned it on and it worked! I made the box as a chocolate cake — the colour image on top is edible. The robot, with Dave’s likeness, was made of fondant.